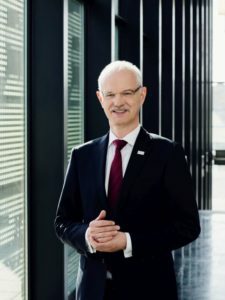 CLUSTER’s New President, Professor Dr. Hans Jürgen Prömel, President of TU Darmstadt. The General Assembly 2018 of CLUSTER held in Darmstadt on 13 April 2018 elected TU Darmstadt (TUDa) to hold the next presidency of CLUSTER for 2018-2020. TUDa’s President Hans Jürgen Prömel will be the new CLUSTER President, Dr. Jana Freihöfer the new Secretary General and Dr. Andreas Winkler the new Coordinator. TUDa’s presidency will start on 1 July 2018 and end on 30 June 2020. In the upcoming two years TUDa’s mission for CLUSTER is to elaborate and execute possibilities of contribution within the new Euro-political vision of European universities networks. This recent European initiative had been first addressed in September 2017 by French President Macron in his speech on European policy at the Sorbonne, suggesting the establishment of truly integrated European universities. Based on more than 27 years of extensive and successful collaboration in engineering education, research and staff training CLUSTER is ideally positioned for contributing to the development of this new initiative. 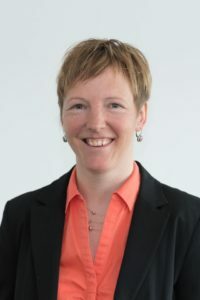 As the Head of the International Relations and Mobility Department of TUDa Dr. Jana Freihöfer is responsible for TU Darmstadt’s international partnerships, student exchange, double degree programs, memberships in international universities’ networks and the internationalisation strategy. She holds a Master from King’s College London and a Ph.D. from Heidelberg University. With her broad experience in international affairs and her aspiration to develop joint innovative and future-oriented objectives for the network she will act as CLUSTER Secretary General for the upcoming two years. Dr. Andreas Winkler, funding and policy advisor for internationalisation at TUDa, brings his experience in internationalisation strategies and in European funding projects. For the last three years he had been working on project development and grant writing, as well as managing and coordinating projects. He holds a Master in geography, political science and media studies as well as a Ph.D. from University of Bamberg. With this practical experience and passion for internationalisation he is the right choice for coordinating CLUSTER. The Presidency of CLUSTER is personal and not attached to universities. The CLUSTER President must be a rector or president of one of the full members and is supported by a Secretary General to be appointed by the CLUSTER President among his/her staff members and a Coordinator. The Presidency rotates every 2 years and re-election is possible.